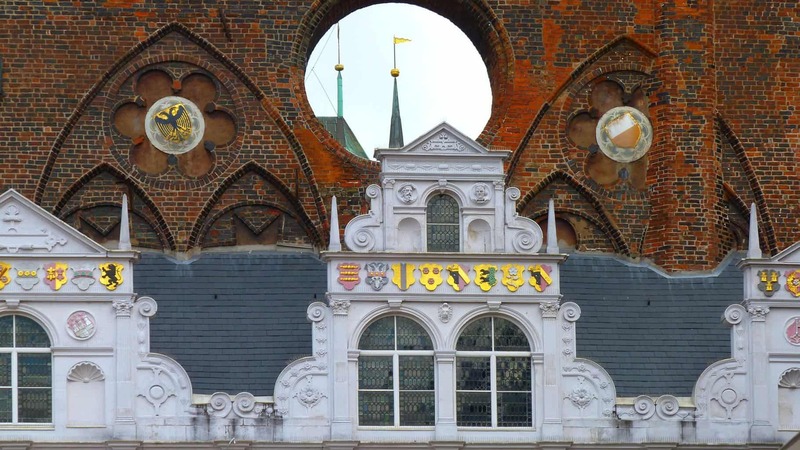 The Hanseatic League was a 14th to 17th century confederation of merchant guilds and their market towns. 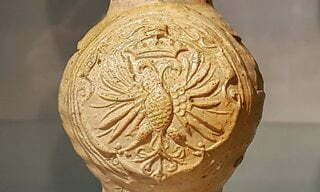 Founded towards the end of the 12th century by a small group of German towns on the Baltic Sea, the league went on to include some two hundred towns and dominate maritime trade in northern Europe for around four hundred years. Ports and cities in the league stretched from, what was then, Prussia in the east to England in the west, present day Bergen (Norway) in the north to Krakow (Poland) in the south. The name Hanse or Hansa was the Middle Low German word for a convoy, which is how bands of merchants travelled between cities and ports by land and sea – largely because of the risk of piracy on the seas. The Hanseatic League was founded as a union of a few north German towns to protect their guilds’ economic interests and improve trading conditions. Also to establish diplomatic ties and privileges along the trade routes merchants established with foreign trading posts (known as Kontors). Although Hanseatic cities had their own legal system and maintained their own armies for mutual protection and aid, they were not a Medieval state. 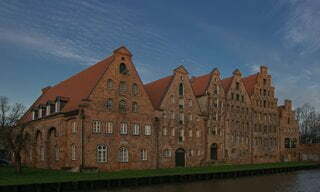 Many warehouses and other trade-related buildings used by the Hansa merchants survive in a number of former Hanseatic cities and kontors. This trade and maritime heritage is often promoted by tourist boards and historical associations. Many destinations have Hansa museums, historical trails and some even host a programme of events throughout the year commemorating significant historical dates in the history of the Hanseatic League. Hanseatic Cities are grouped by Quarter: cities that were in the Wendish and Pomeranian Quarter are marked with red pins, Saxon, Thuringian and Brandenburg Quarter cities with light blue pins, Prussian, Livonian and Swedish (Baltic) Quarter cities with purple pins, and Rhine-Westphalian, Netherlands and Flanders (Westphalian) with pink pins. Foreign trading posts, or Kontors, are marked with yellow pins. Founded in the 12th century, prospering until the 16th century, Lübeck was the capital of the Hanseatic League. Despite the damage of World War Two, the Old Town has retained many of the Medieval architectural features that bear testimony and exemplify the role Lübeck played at the centre of the Hanseatic League. Over one thousand Medieval buildings, courtyards and alleys are listed historical monuments, and the Old Town is a UNESCO listed World Heritage Site. Opened in 2015, the European Hansamuseum makes use of state-of-the-art technology to tell the story of the rise and fall of the Hanseatic League. From the 13th to the 15th century Wismar was one of the leading towns in the Wendish and Pomeranian quarter of the Hanseatic League. Many of the buildings in the Old Town of Wismar have surviving characteristic features and appearance that became typical in Hansa towns on the Baltic at this time. Notably, the Brick Gothic style of architecture as seen in many churches, and other commercial and residential buildings. Much of the Medieval harbour, that was crucial in the rise of Wismar as a leading regional trading centre, has survived. 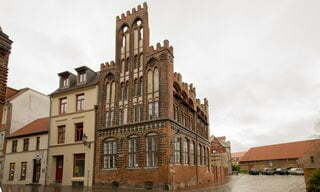 This typical and well preserved Hansa town was added to the UNESCO list of World Heritage Sites in 2002. During the 1100s King’s Lynn was fast becoming one of the most important port towns in Medieval England. The town’s location on the east coast, with access to an extensive system of inland waterways made it a very attractive port for merchant traders from Europe, including ships coming from cities within the Hanseatic League. Hanse House is the only surviving Hanseatic building in England. Kings Lynn was a Kontor, and the League acquired and developed the site in the late 1470s. It was here that German merchants had their offices and lodgings, shops and warehouses. 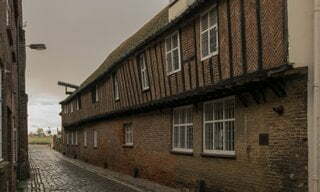 Today visitors can enjoy a self guided trail of Hanseatic King’s Lynn. The London Kontor, known as Steelyard, was the headquarters of the Hanseatic League in London, and once the largest Medieval trading post in Britain. A typical Hanseatic trading post, this was a private, walled community with warehouses on the river, a weighing house, counting houses, a chapel and residential quarters. No remains can be seen, but it was on the north bank of the Thames near Tower Bridge. Today, this is the site of Canon Street Station and a nightclub, ‘The Steel Yard’. During maintenance work at the station in 1988 archaeologists uncovered remains – some of which are on display in the Museum of London.